This is a thrilling "theatrical" mystery in which the theatre becomes the set for the play. The playwright turns on the stage work light and prepares for the first reading of his new play. The actors, producer, director and others connected with the show come onto the stage, and under their humorous (and utterly real) theatrical talk, tension grows. We discover that everyone connected with this play was involved with another play by the same playwright. At its opening night, exactly a year ago and in this same theatre, the beautiful leading lady, who was also the playwright's fiancee, was murdered! 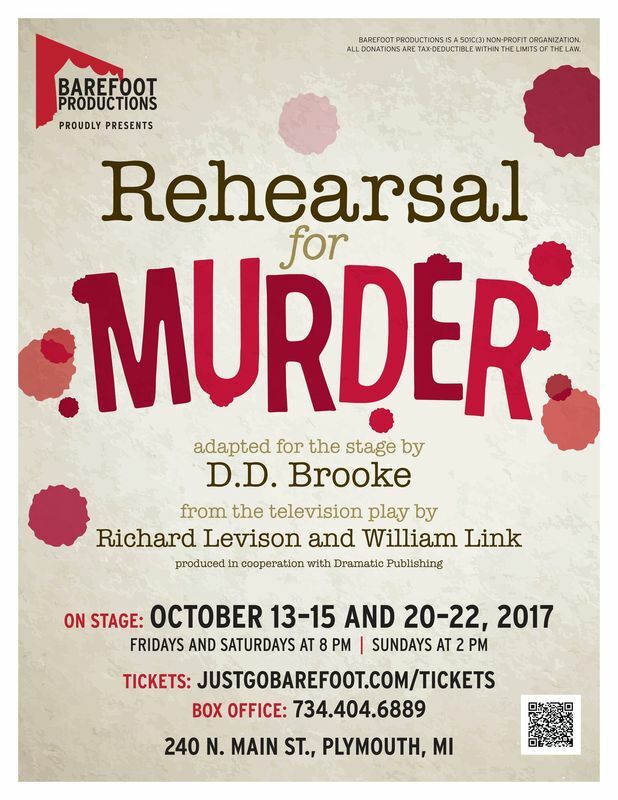 As these people start with the new play, startling connections to the murder begin to unfold. The growing tension reaches the boiling point with surprising revelations, countered by others even more surprising. The dazzling, yet basically logical twists build to a climax and solution that are theatrically stunning! The authors of this thriller have all had direct Broadway experience, and their dialogue has a special sting of wit and reality.